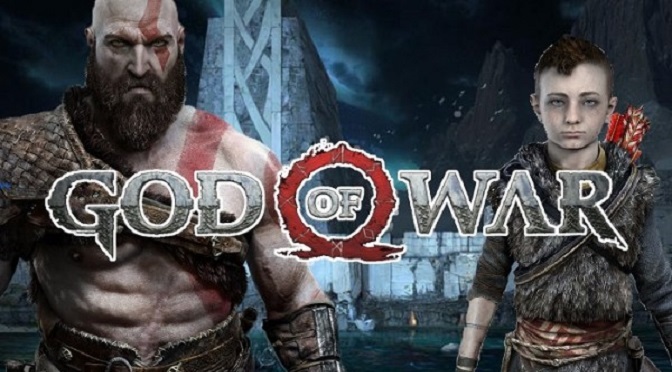 So, as the internet is wont to do, people have started speculating that the studio could be working on a sequel to this year’s smash hit, God of War. The series does have a history of longer narratives, and the Norse setting in which this chapter of Kratos’s life takes place certainly has a lot of material to offer. There’s tons of lore, more realms to explore, and more gods & creatures for Kratos (and now Atreus) to encounter and battle. There are a couple of things that lead us here at PCU to believe that this will be a sequel to God of War (and not simply some DLC). The first of which, is that there was never a Season Pass for this game. No Season Pass for games like this typically means no DLC. Second, Cory Barlog (the game’s director) stated in a Kind Funny Games interview that there were no plans to do any kinds of DLC expansion (like Horizon Zero Dawn did with The Frozen Wilds). We think it’s best to believe the man in charge. So, that left a couple of us wondering what we would like to see in a sequel to God of War. There are quite a few options out there for Barlog & Co. to take on. Think about it: there’s still a good portion of the Norse pantheon for Kratos to encounter. C’mon, who wouldn’t want to see our favorite god of war go up against more of the Norse heavy-hitters (like the god of thunder, perhaps)? In addition, there were realms we didn’t get to visit, which (according to the mythology) hold some seriously interesting sights to see and characters to meet. There were a couple of realms that went untouched in God of War. We got a good look at Midgard (where most of the game took place), met and fought the Dark Elves in Alfheim, and braved the bone-chilling winds of Helheim. We also climbed a lava-spewing volcano in Muspelheim, and choked through the poison gas filled realm of Niflheim in order to take on their respective tough-as-nails trials. Still, we only got a short glimpse of Jötunheim, as the game’s final scenes unfold there. Additionally, Asgard, Vanaheim, and Svartalfheim were all locked in the realm table, and therefore inaccessible to us. In our opinion, it would be very cool to get a look at these realms in a God of War sequel, as their lore and legends are full of some very cool aspects of Norse mythology. Svartalfheim is the home of the dwarves, and therefore where our friends Brok and Sindri are from. Imagine the gear that could be created by the dwarves in their homeland! That’s not all, though… Svartalfheim is also said to be the home of the Dark Elves themselves, so if we got the opportunity to visit that realm in a sequel, there’s a good chance that we could get a lot of interesting combat out there. With the craftsmanship of the entire dwarven race available to Kratos and Atreus, our heroes shouldn’t have too big of a problem, though…right? Vanaheim is the original home of the Vanir – one of the enemies of the Aesir (the gods we know as Odin, Thor, Baldur, etc.) as well as being the Norse deities associated with fertility and nature. It is also the true home of the goddess Freya, and its inhabitants were said to be more “wild” or “natural” than those of Asgard, or even Midgard. Imagine a whole realm that looks like the area around Freya’s turtle home! What magic could a place like that contain? Finally, most of us know Asgard as the home of the Aesir gods. This could be a really good addition to a God of War sequel, as legend states that Asgard was divided into 12 sections. From Thrudheim (the home of Thor) where we could travel after facing the god of thunder, to Valhalla (the hall of slain warriors) where warriors battle each day and feast each night, and even Breidablik (the home of our old “friend” Baldur) which is said to be the most beautiful place in Asgard, the realm could be one of the more intriguing and fantastical places to visit in our journey through this next chapter in the God of War saga. It could also provide more hints of what the future of the series might hold, and give us lots to do. Those of us who are fans of Norse mythology (or have even seen the Thor comic books & movies), know that there are way more gods & creatures in Norse legend than those we encountered in God of War. From the enormous (and convoluted) pantheon of gods, to all of the creatures and demigods that exist in the legends, Norse mythology has a cast of characters that would make for some great encounters and battles in a sequel to God of War. Let’s take a look at a handful of these possible characters whom Kratos and Atreus might be able to meet in a second game. Starting with the obvious, the cutscene at the end of God of War sees Kratos and Atreus return home to their cabin, where a giant lightning storm begins overhead. As Kratos goes to investigate, he sees a hooded and cloaked stranger standing outside. As the wind slightly blows the stranger’s cloak open, we see a hammer attached to his belt, which bears a striking resemblance to Mjölnir. Thor has arrived, most likely to exact revenge upon Kratos and Atreus for the deaths of his sons, Magni and Modi. This could be an EPIC opening battle for a sequel to God of War, and one that I personally would love to see play out. The god of thunder awaits a battle with the god of war. Another Norse deity who would make for an interesting encounter would be Vidar, the Norse god of revenge. His inclusion in this series would make a lot of sense. It was a need for revenge against Ares that began Kratos’s journey and instilled in him a hatred of the gods. So, this could add an interesting aspect to the God of War saga. Either Vidar would be impressed by Kratos’s need for vengeance against the gods, or he would be a character who would want to take up arms against the Ghost of Sparta after seeing what Kratos had done. While not much is known about Vidar in the mythological sense, it stands to reason that the deity in Norse legend responsible for avenging Odin after Ragnarök would be a formidable foe for Kratos. Gods aside, fans also love the multitude of fantastical creatures that exist in the God of War universe, and Sony Santa Monica’s chapter is no exception. That being said, one of the coolest creatures of Norse legend, which we would love to see in a sequel to God of War, is the giant known as Surt (or “Surtr,” in the old Norse). Alluded to in the Trials of Muspelheim portion of God of War, Surt is a fire giant whose destiny is to lead the other fire giants in battle against BOTH the Aesir and Vanir gods during Ragnarök. Having a character in the game as powerful as Surt, who seems to hate the Aesir and Vanir as much as Kratos, could lead to some interesting collaboration (remember, Kratos previously cooperated with the Titans in order to take down the Olympian gods of Greece). In the beginning third of God of War, Kratos, Atreus, and Mimir must summon the World Serpent: Jörmungandr. While Mimir speaks to the enormous snake, one thing that Jörmungandr says is that Atreus seems familiar to him. Now, flash forward to the end of the game, once Kratos and Atreus finally arrive in Jotunheim. It is revealed that Faye, Atreus’s mother, originally wanted to call him Loki – which is what the rest of the Jötnar (the race of giants to which Faye belonged) came to know him as. In Norse mythology & legend, Loki is the god of mischief, and a constant thorn in the side of the Aesir gods. He is also…FATHER TO JÖRMUNGANDR! With the battle between Jörmungandr and Thor throwing the World Serpent back in time, it (kind of) makes sense that he and Atreus would meet when the latter is a child. An 18th century illustration of Loki – the trickster god. Following that first revelation, there was a mission in the game called “The Sickness,” in which Kratos must travel to the realm of Helheim in order to retrieve the bridge keeper’s (the troll known as Máttugr Helson) heart. At one point in that mission, as Kratos looks off into the distance, a vision of Zeus appears and speaks to Kratos. When Kratos asks Mimir what that place is, the disembodied head of the Smartest Man Alive remarks, “Never go there, understand?”. What would that area of Hel hold for the Ghost of Sparta? Could there be some sort of reunion with Zeus? Here’s the thing, though: the idea of adding a mission about that part of Hel (and a confrontation with a Hel Zeus) could either be a great tie-in to the original God of War games, or be a bit too much for the series — depending on how it is handled. One of the bigger questions that I (and it seems others as well) were left with at the conclusion of God of War, is: What is going to happen between our heroes and Freya/Frigg (the game’s canon states that they are the same goddess)? When we last saw Freya, Kratos and Atreus had just killed her son Baldur, leaving her SUPER PISSED at the two of them. This could lead to a massive confrontation between Freya and our heroes. Freya’s mastery of seiðr magic would make her an extremely formidable opponent, even considering the godhood shared by Kratos and Atreus. Additionally, after defeating the Valkyrie “queen” Sigrun, it is revealed that the true queen of the Valkyries is actually Freya herself. To make matters worse, Mimir confesses that he let slip to Freya the location of her wings (as Odin had torn them from her and hidden them). If she got her hands on these in a God of War sequel, they would give her back her (seriously strong) Valkyrie powers. This could be quite a battle. Freya as a Valkyrie would be scary stuff! A final thought: the team at Sony Santa Monica did say (in an interview back in June) that if they did another game, it would be “bigger, better, longer”. Looking at all of the things that were revealed to Kratos and Atreus throughout God of War, as well as the wide array of gods and creatures that Norse mythology has to offer, we here at PCU are actually pretty excited for the potential of a sequel to this incredible game. What about you, dear readers? What would you like to see included in this sequel, should it come to be? Leave us a comment down below with your thoughts, and stay tuned to Pop Culture Uncovered for more information on this as it develops! This could be BIG!